Recommended Ages: Seven to eleven. Most students that join us here at the Shire share wonderful tales of Girl Scouts or Boy Scouts, Summer Camp, or in the backyard shooting the bow. Usually the stories are accompanied by two things. One is slapping your arm with the string leaving a welt the size of a football on their precious arms. The second is a sense of awe and love remembering the practice of archery. Fortunate are we to be able to offer youth and/or family classes. Keeping within the framework of our Method, this course is an abbreviation of our regular adult course. Four hours of meaningful instruction in two consecutive Saturday classes, will emphasize tenets of safety, care of equipment and patience in a magical atmosphere––gentle and fun. 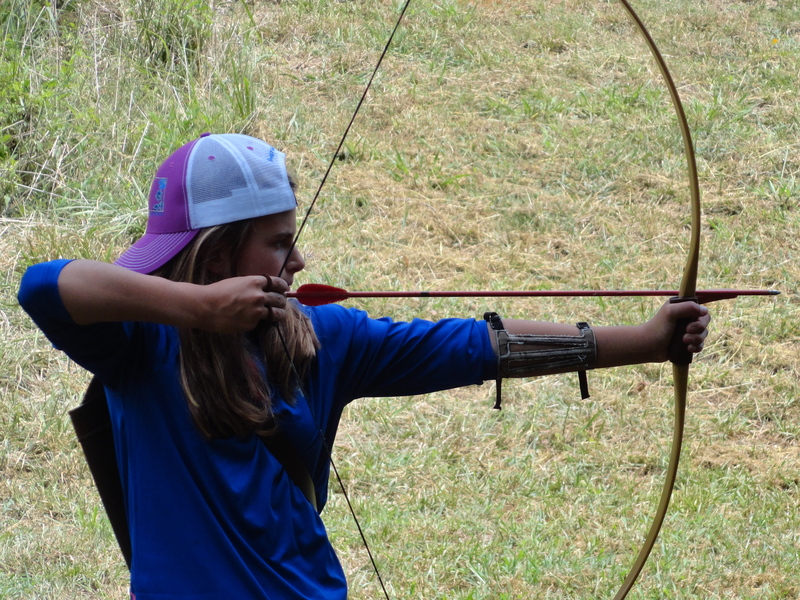 We’ll carry our young archers through the wonders of the tradition, using light bows for the ease of handling. Expect some interesting challenges and games during our time together. Please see the Calendar for class times. The course fee is 90$, or 45 per class. Payment can be done online with a credit card (see below) or with check/cash at class time. *Family rates are available, while schools and youth groups can apply for arrangements here: Schools & Organizations. Class 1 begins on Saturday the 26th from 12:30 to 2:30pm; class 2 on the following Saturday––same time. Class 1 begins on Saturday the 23rd, from 12:30 to 2:30pm; class 2 on the following Saturday, March 2nd––same time.